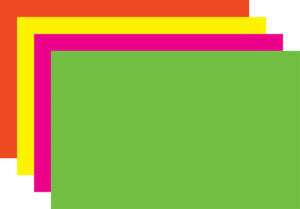 22" x 28" Rainbow Pack of blank fluorescent sign cards consist of Green, Yellow, Pink, and Red/Orange. Cards are 8 point stock. 100 cards per package.